E amore un ladroncello, a setting by Lorenzo Da Ponte, was composed by Mozart in 1789 (Bb Major) and premiered the year after. This aria is part of Act II of Cosi fan Tutte. Mozart collaborated with Lorenzo da Ponte for the first time in 1986 with Le Nozze di Figaro after Da Ponte quarreled with his previous collaborator, Antonio Salieri, imperial court composer. They renewed their collaboration on Don Giovanni and finally, on Cosi fan Tutte, commissioned by the emperor Joseph II in 1789 and premiered in 1790. The plot seems to have been created by Da Ponte himself. It appears, at first, cruelly misogynic (the whole thesis of the libretto being that women are unfaithful creatures by nature), but Mozart succeeds in counterbalancing this idea. The women, especially Fiordiligi, are shown as sincere, loveable, moral characters when the men are full of preposterous self-righteousness and incapable of personal growth. Nonetheless, the libretto appears, for some, as a tribute to the misogyny of its time. Act I opens on Don Alfonso, Guglielmo and Ferrando quarrelling over the faithfulness of Dorebella, fiancée to Ferrando and Fiordiligi, fiancée to Guglielmo. Don Alfonso convinces them to bet over the fidelity of their future brides. They must pretend to have been called to war, return to them disguised and attempt to seduce the other’s beloved. They accept and leave Don Alfonso alone. The scene shifts to the two sisters dreaming about their beloved. Don Alfonso arrives and enounces the departure to war of their men. Desperate, they have no choice but to bid them farewell and are left alone and distressed. In scene 2, Despina, their maid, tries to console them by reminding them, that they will be other men! They reject her way of seeing things with disgust. Don Alfonso arrives and introduces the two disguised men as foreign Albanians to the two sisters. The men immediately declare their “love” to them both. Fiordiligi, in shock, asks them to leave and pledges to always remain faithful to the man she loves (aria: Come scoglio). The sisters remain unstirred by the men’s plea and they leave at last. Scene 3 opens on the sisters, alone again in the garden. Despina has taken control over the scheme and is helping the men seduce the women. The men enter again and threaten to drink deadly poison if the sisters don’t hear them out. They eventually drink it and pretend to be dying. Soon after Despina arrives, disguised as a doctor and “revises” the two men. They pretext hallucinations to obtain kisses but the sisters resist their prayers once again. In Act II Despina tries to convince the women to succumb. Dorabella starts to falter and the two sisters agree that flirting is not been unfaithful. In Scene 2 the four lovers meet again. Guglielmo, left alone attempts, once again, to seduce Dorabella and finally succeeds (she hands him over her precious medallion). Ferrando, however, is unsuccessful with Fiordiligi and is outraged to learn Dorabella, on the other side, has succumbed to Guglielmo. Guglielmo at first empathized with Ferrando in his aria: Donne mie la fate a tanti but later gloats over the fact his beloved is faithful. Ferrando, left alone, is thorn between his love and his resentment towards Dorabella. In the next scene, Dorabella, alone with her sister, Fiordiligi, admits she has succumbed to her suitor, in her aria: E amore un ladroncello. 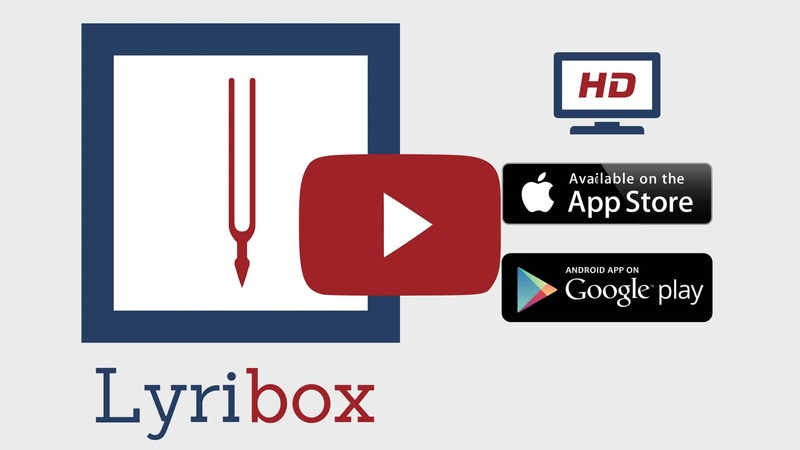 Lyribox, the popular online platform for classical sheet music, accompaniment and ipa translations brings the best by W. A. Mozart by offering the sheet music, accompaniments and translations to the fans gathered around the site, for the best price that could be found online. The sheet music, accompaniments and translations provided by Lyribox for are of highest quality and accuracy. E amore un ladroncello originated was composed by Wolfgang Amadeus Mozart. The original lyrics are in Italian. The melodious note arrangement of E amore un ladroncello ranges from pianissimo (very soft) mellow notes to forte (loud) notes carrying the player and the audience through an array of vivid emotions. The sweet soft beginning of the music piece gradually increases and decreases the loudness in smooth transitions. This music piece is decorated with phrases, slurs and an arpeggio. A perfect composition for piano players to try with an intermediate knowledge in music. Students can make use of this sweet music piece to improve their knowledge in music expressions, ornaments and sight-reading, while all music lovers could enjoy this brilliant extract whole-heartedly. E amore un ladroncello sheet music produced by Lyribox is clear, precise and is transcribed in English by Lyribox. By purchasing E amore un ladroncello sheet music from us, you can simply sing along as you play this masterpiece on your piano. Unlike many sheet music sold online with all black notations, sheet music we offer you is marked using three distinct colors. While piano notation is illustrated in black, the music expressions and the lyrics are given in red and blue respectively. Get E amore un ladroncello by W. A. Mozart sheet music from Lyribox today to enjoy and share this wonderful music composition with your friends and family. E amore un ladroncello piano accompaniment is offered by Lyribox is mellow and smooth. It feeds the poem an underlying pulse, adding a sense of propulsion to it. Meanwhile the vocal line flows in a dreamy leisure manner forcing the audience into a calming and languid mood. The vocal line of E amore un ladroncello by Lyribox has the potential to provide slight pitch support for the voice’s sometimes unusual intervals, enhancing the fullness of it. This accompaniment is not at all demanding. Using these rich E amore un ladroncello accompaniments you could create one of the most brilliant performances that is pregnant with layers and layers of expressions. Purchase the E amore un ladroncello piano accompaniment together with the vocal line accompaniment from Lyribox today!